Are you currently sitting in a room that has garish colours splashed on the walls? Do you often feel a little down when you leave a room after being in there for some time? Likewise to you feel your mood change when you enter a room? If any of these apply to you then you may be likely to suffer from bouts of stress and perhaps don’t understand why? Colour psychology works on the premise that each colour – whatever the colour – has a psychological effect attached to it and thus some colours may make us happy, some may make us sad and others may make us feel miserable or stressed. This perhaps sounds like a foolish notion but scientists have proven that such psychological connections between colours and the human mind do exist. 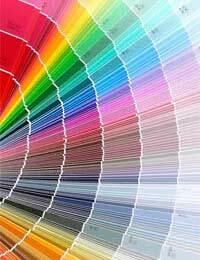 Colour psychology also suggests that colours work on three distinct levels: passive, active and neutral. As the name may suggest neutral has no real bearing on a person’s mood whilst passive can have a calming influence or a relaxing one whilst active can cause the mind to overwork or react adversely to its surroundings thus bringing on bouts of stress. Greens are the most relaxing on the eye and are often associated with light airy rooms like living rooms, conservatories or rooms with large windows: a room that has a pastille green can often be the most relaxing and enjoyable room to inhabit. Reds are a much more passionate proposition and can often cause fiery emotions to be stirred up. Spending too much time in a room that has a variety of reds in it can often lead to irritability or mood swings. Only use reds in rooms that are not likely to have occupants for long periods of time. Purple is another restful colour which is found often in bedrooms for exactly that purpose. It can bring with it an air of sophistication and also warmth without being overpowering on the eyes and the mind. Pastille shades work best in bedrooms and rooms where light is not always at a premium giving the illusion of there being more light than there actually is. Which Colour is Right for Me? The first thing you have to decide is what exactly you want the colour to do? Do you want it to enrich a room and give it an exotic feel? Do you want it to make a room look bigger than it actually is? Or do you want it to make a room feel relaxing and inviting? Whatever the reason and whatever the colour it is important to ascertain right from the outset just how the colour will affect you and whoever else uses that room. Colours as part of a plan to promote stress reduction should invoke feelings of being relaxed, calm and at peace with yourself and those around you so garish colours are perhaps not the best idea. Pick up colour samples from local DIY stores and try them on patches of wall that aren’t seen. Allow the colour to stay visible for a while and see how it makes you and those around you feel. Also experiment with different coloured bedding or cushions and judge how much of a difference they make to the atmosphere of a room. It sometimes isn’t even necessary to repaint a room but to simply break up the colours using others on a smaller scale. However you do it you will soon realise that colours have a surprisingly potent effect on your lifestyle and using them in the correct way – and being more particular about the colours you use – can have a surprisingly calming effect on you and those around you.